Well, we have more good news which we know you'd like to hear! 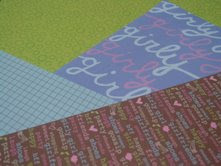 More delicious scrapping goodies are coming our way this week - Scrapworks, Melissa Frances, Chatterbox and MORE!!!! 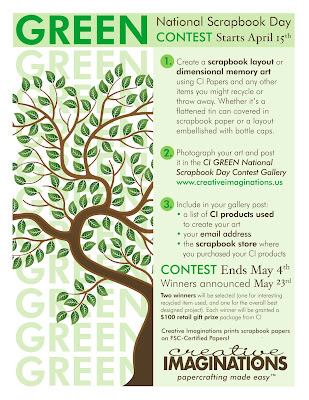 Aside from that, we hope those who are taking part in the Creative Imaginations Green challenge are near completion. Don't forget the closing date is this Sunday, May 4. 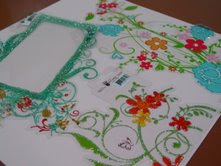 Feel free to share with us your creations by emailing your images to shabbychicbrunei@gmail.com and we'll put it up here. We could hardly wait to share this with you and now, here it is!!! 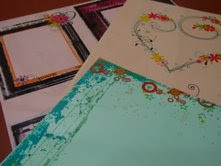 May 3rd is National Scrapbook Day in the USA and this challenge is open to YOU too!! 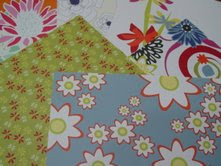 Creative Imaginations paper will be available at Shabby Chic this week. We hope to see many of you in this contest so GOOD LUCK, everyone!! 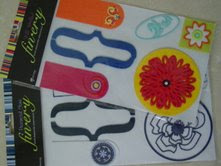 We've just added these on the shelves. Next week, be on the lookout for a very exciting challenge. We won't say much for now but think "Recycle". We fell in love with their collection at their recent CHA show. 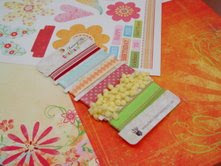 For the month of April, ALL Privilege and Scrapaholic members can buy a Making Memories Distressing Kit at a special price!